When it is done scanning, that’s it. Congratulations. You just learnt how to install GOTV. Now tune in to channel 99 and enjoy. 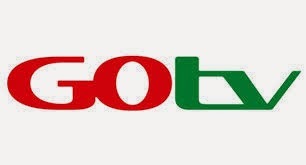 Once you have install GOTV on your decoder, it is now time to activate it for the very first time and to make the payment for the package you would like to go with. You account has been reset. Kindly confirm if you can. Hi kindly assist me,I have practically followed every single step for first time installation of my Gootv but its still not working. Scanning results for both Tv and radio stations is zero. What haven't I done?